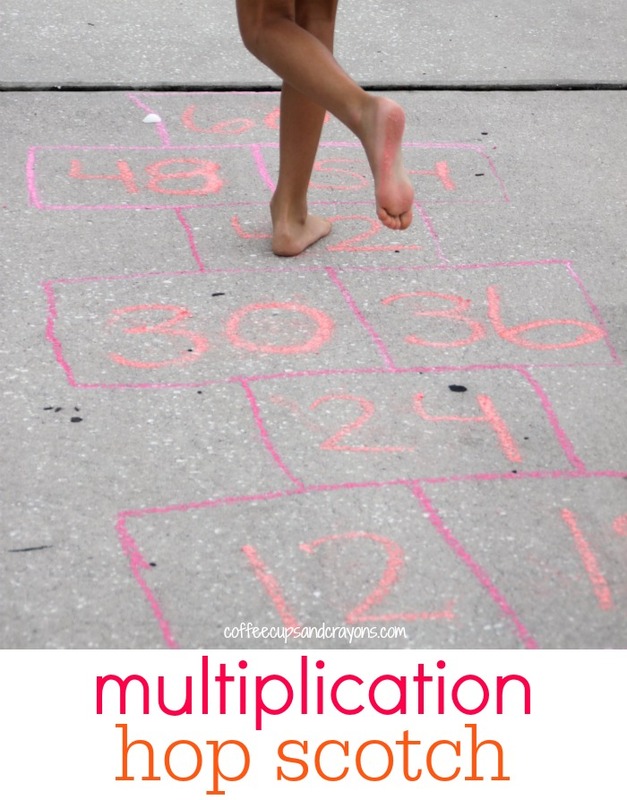 At some point we all have to learn our multiplication facts, but is doesn’t have to be boring! Take a break from flashcards to move and learn to skip count. 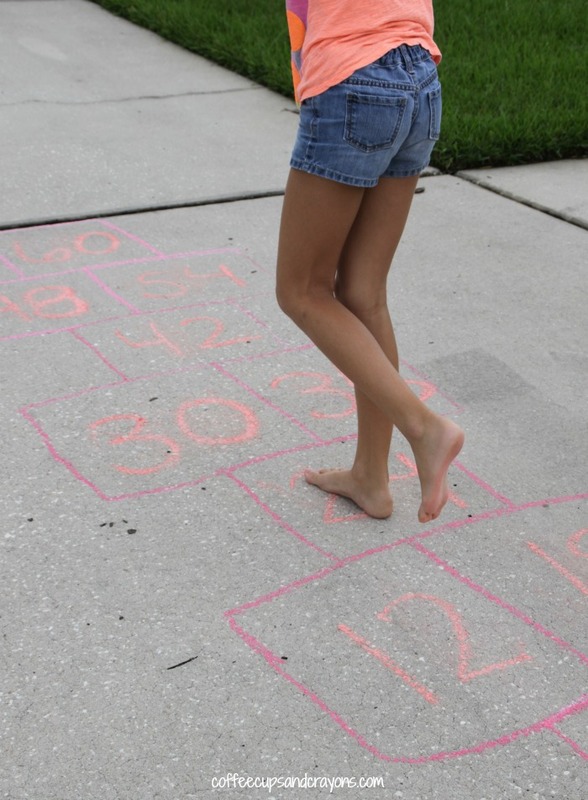 Grab some sidewalk chalk and get ready to play multiplication hopscotch…or should we say skip-scotch? Hop count? Either way this multiplication fact practice game is super simple to set up and lots of fun! Did you learn to skip count as a child to help make memorizing those multiplication facts easier to remember? I sure did. What better way to practice skip counting than by skipping and counting? OK, OK, it’s actually hopping and counting for those of you who like to be technical! Depending on what your child or students are working on you can write (or have them write) the multiples of a number in the squares or you can write the multiplication facts on the squares. Then play! The kids hop and skip count at the same time–moving and seeing while counting is a great way to help those math facts stick in their brains! 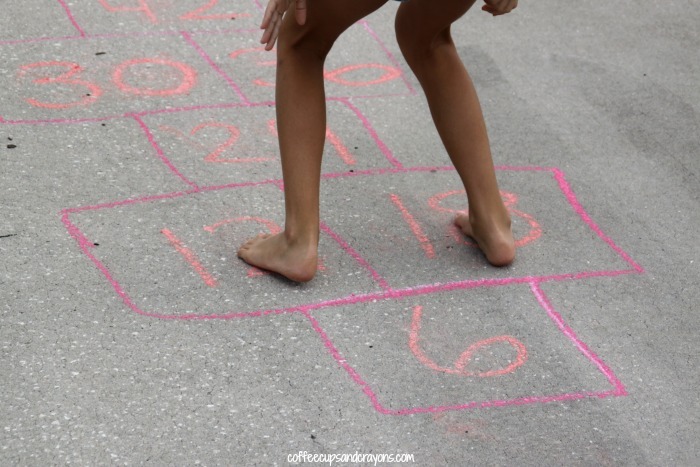 The great thing about multiplication hopscotch is that kids can play by themselves or with friends anytime they want. And in our house simple means that it is much more likely to happen! Even though they can play by themselves hop in there and play too! It’s a great way to move and learn and make memories with your kids.